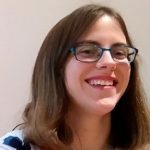 Today’s guest post is by Ali Luke. Perhaps you worry that you’re wasting your time (and your money). That, ultimately, your writing doesn’t really matter. That you should be doing something else instead, whether that’s the housework or spending more time with your family. I firmly believe that your writing does matter, though—regardless of whether you’re making any money from it. Do you feel better, generally, when you’re writing? Do you feel you’re accomplishing something? Do you enjoy spending time with imaginary people? Do you love coming up with invented worlds? Most writers struggle to imagine a life in which they didn’t write at all. I know that I’m personally happier when I write fiction on a regular basis, and I also really enjoy writing nonfiction, particularly blog posts. Writing is my way of working things through and organizing my thoughts. Lots of people have creative outlets: creativity really isn’t something that’s just for kids. Among my Facebook friends, I’ve seen posts about playing in a brass band, taking photography classes, pole dancing, Bible journaling, writing comics, experimenting with fashion, and lots more. All of these are valid and important parts of what makes my friends who they are. I can’t imagine telling my friends: “You’re wasting your time on that” or “You should be doing something more important.” I’m sure you wouldn’t either. Why should writing be any different (or any less valuable) for you? If you’re not yet at the stage of getting anything published, it can feel as if all your hard work is being wasted. If no one ever reads those words you’ve labored over, surely it’s just not worth it? But every single word you write is part of your growth as a writer. Even if the short story you’ve spent a month writing doesn’t win a competition, you’ve still learned something from the process. The more you write, the better you’ll become. I’ve sometimes been rather envious of writers who’ve enjoyed seeming “overnight success” —but almost always, when I’ve talked to them or read interviews with them, it’s been clear that they actually worked for years before anyone noticed them. They have half-finished novel manuscripts tucked away that they’ll never publish, or they’ve carefully deleted from the internet the five failed blogs that preceded their sixth successful one. With almost anything worth doing in life, you need to spend time learning your craft. Writing is no different, especially if you want to be truly brilliant at it. I know some writers are very keen to view themselves as “professionals” rather than “hobbyists” … but this can put so much pressure on that it makes writing feel like a chore rather than a joy. There’s nothing wrong with having a hobby! And there’s nothing wrong with your hobby being a huge part of your life—the thing you really love doing, while your day job lets you have the money to do it. Everyone deserves time to enjoy their hobby, whatever that hobby is. It doesn’t matter if your friends/family don’t “get” why you’d enjoy writing (I don’t personally get why anyone would enjoy golf, or stamp collecting, or a bunch of other popular hobbies). I should be clear here that I don’t mean that to belittle your writing in any way or to suggest it’s “only” a hobby. But I do think that it can be helpful to frame your writing as an enjoyable leisure-time activity that’s worth pursuing for its own sake. There are many forms of writing that don’t guarantee an eventual paycheck (writing a novel, for instance, or a screenplay). But for some writing projects, it’s pretty much impossible. For instance, you might take on a project for free to help out a person or organization you’re interested in—writing a play for your children’s school, for instance. You know from the outset you won’t get paid, but that doesn’t make your work any less meaningful or important. Or you might choose to write fanfiction. Millions of people across the world do; they write about the characters from a particular TV show, film, or book (or even from multiple works in a “crossover”) and they publish those stories for other fans to enjoy. They don’t get paid—they can’t get paid, because it isn’t legal to profit from fanfiction. Several of my friends are fanfiction authors. They take pride in their work, they see it as meaningful and important, and they get great reviews from readers who appreciate their writing. They don’t get paid—but their writing still matters. Making money as a writer is great. It’s a huge validation of you and your work, and it’s also a quick path to being able to spend more time doing what you love. I’m certainly not suggesting that there’s anything wrong with writing for money, or with the aim of making money. However … if you’re not getting paid, the writing you’re doing still matters. It’s a way for you to express the whole of who you are in the world. It’s developing your writing skills. It’s (hopefully!) something you genuinely enjoy doing. Ask yourself: If I treated my writing as if it truly mattered, what would I do differently? If possible, find a way to make those changes this week—and leave a comment below to let us know what you did. What an uplifting way to start our writing week. Thank you, Ali! Thanks, Priscilla. 🙂 Hope you have a great writing week! Thank you, Ali. We know that even with critique and support groups, writing can be lonely, but it’s a constructive loneliness. Digging down deep to construct fictional characters gives great insights into other real-life people, and into myself. I’m very happy that you posted this and I agree with Priscilla. It’s an uplifting way to start the writing week. Thanks so much, Francine! I know what you mean about the loneliness — writing groups and friendships with other writers have always been a hugely important part of my writing life, but the actual work is done alone (and it often takes months of work before a project is ready to share, even in a draft form). I love this post on so many levels. I plan to quote from it when I teach creative writing again this spring. I tell writers again and again- you have to write for you first. You can’t be hamstrung by the results or the what-ifs. Just write raw from your center, you never know what may come of it and you can’t worry about it. I don’t often comment, but truly enjoy this blog. Thanks for offering so much inspiration, instruction, and hope! Ah, Cara, you’ve made my day — thank you! 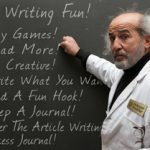 I hope the post helps your students, and I absolutely agree with the advice you give them to “write for you first”. A very useful article – and yes, every word counts. I would never describe writing as a hobby as, like painting, it is part of who I am, and always has been. I can think of a number of people who would very much benefit from reading your words, as they doubt themselves so much. You are saying what I used to tell my art and creative writing class. I wouldn’t call my own writing a hobby either — it’s a lot more than that to me — but I know for some people, that can be a helpful way to frame it and to give themselves permission to enjoy writing! I have enjoyed writing as a hobby for many decades, and couldn’t imagine a day without writing. When I was widowed 9 years ago, I sat down and pondered about life on my own; and what I really wanted to do in the few remaining years left to me. And, of course, I wrote down all my thoughts. My hobbies are photography, travel, music, wine, and writing. The latter has assumed major importance, as age starts to limit my mobility. I have just written my first novel. It was an amazing experience. I couldn’t wait to open up my computer every morning, and I was more exhilarated than I’ve been for many years. I completed the first draft – 52904 words – in 29 days. I started writing it as a challenge to myself, to see if I could write a novel: and with no intention of publishing the end result. Trouble is, it’s turned out much better than I had ever expected: so now I’m starting on the hard road of trying to get it published! But if this fails, it has cost me nothing, and given me great pleasure. In a nutshell, I’m really trying to say that this article expresses so well my own thoughts on writing. But then, at 85, my ambitions have dwindled; and I’m lucky to have the leisure to write all day – or even all night – if the urge takes me: and my pension ensures that there is no necessity to try to make money in the process. Thanks, Ali, for your insights. I loved your article and the post to it. I too am a widow (72) and started writing, and published my first novel. My modest goal is to sell (which I have reached and succeeded) $1000 worth of books each year per book. As a mathematician, I know that selling any product is a numbers goal. So many days writing produces so many words produces a book. So many books written brings people who want to read your books. Slowly with a quality product and a loyal following a writer builds up a reputation for a good read, and value. I am happy with a geometric progression of readers when if only one person reads your book and tells two people then each reader will slowly build up a following for all your books. Patience and determination is the key. Never giving up. My whole life seems to have led up to this one book. I worked in publishing, newspaper, book, academic, and technical writing. In college, I majored in math, art, and minored in teaching and geology. Too many interesting things to learn. Married, raised kids, attended college and graduated after working on a degree for 20+ years, only 3 years for a masters degree. Writing a novel reminded me of getting another master’s degree. Start with a premise or idea, research, outline, rough draft, beta readers, edits, hard work, studying, many classes, learning so much software. Transferring life skills to the page. It’s been a challenge. I too spring out of bed every day looking forward to my new career. I treat my writing with the same quality and work ethic I did on the job, except I really like my bosses (me and my readers). Recently one of my readers moved me to tears when she wrote me how much my book meant to her. I am touching people’s lives. The camaraderie of other authors and their generosity is overwhelming. I enjoy the input from other writers. I love meeting authors, I’m like a geeky fangirl when I meet one of my favorite authors at a conference. Writers like Ms. Larkin have been so helpful with her newsletter advice and excellent books. I’ve bought sets of her books and given them to my writer’s group as a giveaway prize. They are so valuable. Thank you for helping fellow authors. Oh, how lovely to get that sort of email to a reader. Book sales are, of course, wonderful (and making $1000/year from a book is an impressive feat — marketing books is a very tough business) … but there’s something particularly special about knowing you’ve touched someone’s life like that. Wow, Anne, congratulations on the complete first draft — that’s absolutely amazing, a seriously fantastic achievement. Very best of luck to you with trying to get it published — you’re very sensible to recognise that it’s not an easy road, but very worth pursuing, I think. Also, housework is neverending. As a realist, I learned long ago women can do anything they want (including writing). However, housework is always lurking. I treat housework like a job efficiently to get it done, clean enough to be healthy but not eat off the floors white glove clean. My grandma always said you gotta eat a peck of dirt before you die. It will be there when you are dead. However, books are forever. I live in a multigenerational home with my granddaughter, and great-grandchildren. I tried a senior community-ugh boring! I love the challenge of twenty-somethings, and kids all together. Chaos yes. Life -yes. Fun-yes. Wonder-yes. Joy-yes. I babysit 1 or 2 days a week. I have a routine. By 9 am I’m done. Let dogs out, feed dogs, load dishwasher, load laundry. Both parents work full-time jobs and they do the heavy housework. It works out for all of us. I write full time 4 days a week 7 hours a day (10 am to 5 pm), weekends I market and blog in the morning early (5 am to 9 am). The rest I spend on family, learning, and friends. Keeps me active. The key is consistency. keep on writing. With two little ones, housework is pretty inevitable around here, but I agree with your philosophy of getting it done efficiently and without going overboard! Thank you for this positive post. I’m much happier when I’m writing than when I’m not, regardless of sales – and when someone buys a book it’s an added bonus! A lovely post. My writing is a serious professional hobby.